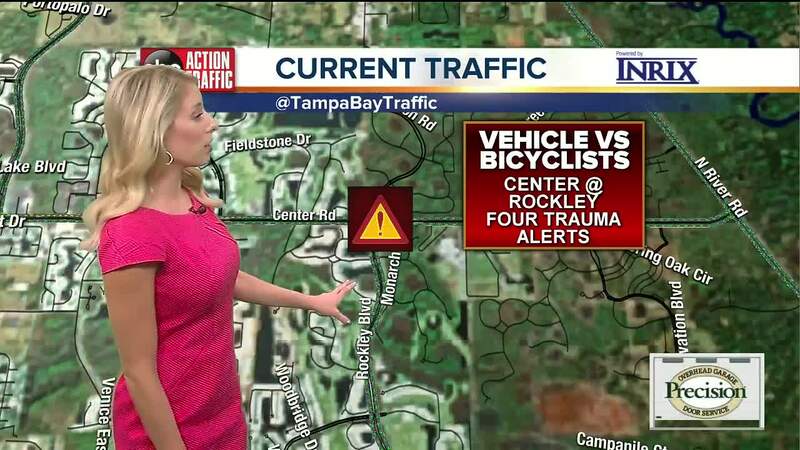 The Florida Highway Patrol is investigating a car versus four bicyclists crash that happened Tuesday morning in Venice. 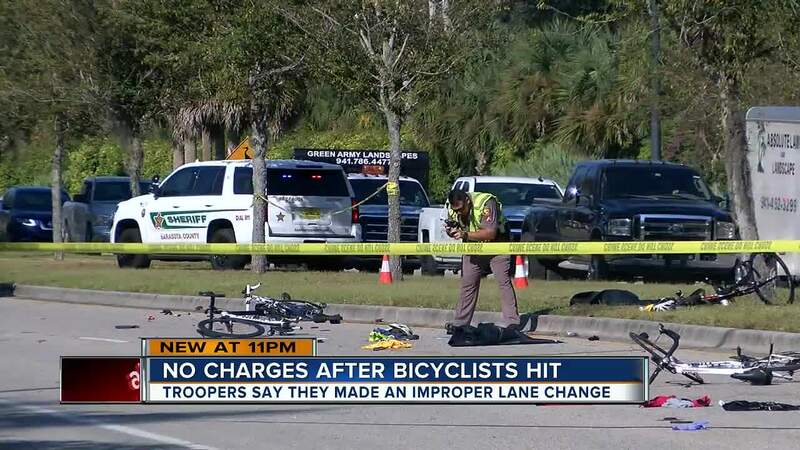 VENICE, Fla. — The Florida Highway Patrol is investigating a car versus four bicyclists crash that happened Tuesday morning in Venice. The four bicyclists were riding in the right eastbound lane of Center Road in the bicycle lane at approximately 10:26 a.m. on Tuesday. They made a lane change from the right lane to the left lane, in front of the approaching Chevrolet, which was traveling in the left eastbound lane of Center Road. The Chevrolet hit the four bicyclists in the left lane. The bicyclists, Sarah Calabrese, 55, Jack Harrington, 57, Joel Calabrese, 67 and John Ustruck, 60, were taken to the hospital as trauma alerts. Three were airlifted and one was transported by ambulance. 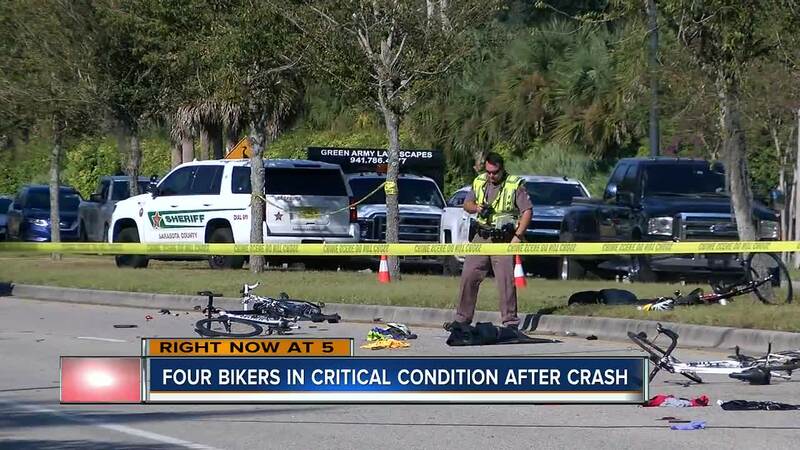 All four bicyclists are listed in critical condition. FHP said the driver of the Chevrolet car is a 91-year-old woman from North Port. The driver does not face any charges, according to FHP. Troopers said the bicyclists made an improper lane change. We're told the bicyclists are experienced bike riders. People who live in the area said the road is dangerous for bicyclists and pedestrians. "It doesn’t surprise me that someone was going to get hit at some point that’s why I always ride on the sidewalks," said Mike Campisi.